Item Name: 2012 and Beyond: Combination Offer Saves You Money! This world may, indeed, suffer the greatest calamity in history, but this catastrophe will NOT be any of the proposed doomsday scenario for December 21, 2012, offered by the Mass Media. 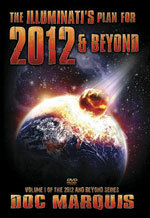 This DVD series examines many of the Mass Media scenarios and then shows how each of them simply will not occur. What may occur, however, is a demonic plan revealed only by the Black Magick Secret Society, The House of Theosophy. 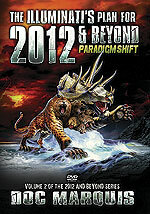 This disaster from the Abyss is called the 'Paradigm Shift Producing The Universal Mind'. Doc Marquis correctly identifies it as a global demonic possession of all unsaved people! We also examine the possibility that God might send His 'strong delusion' (2 Thess 2:11) This DVD closes with a dramatic appeal for genuine Christians to aggressively reach out to sow Gospel Seed to the unsaved people in their lives, before this 'strong delusion' hits with full force. 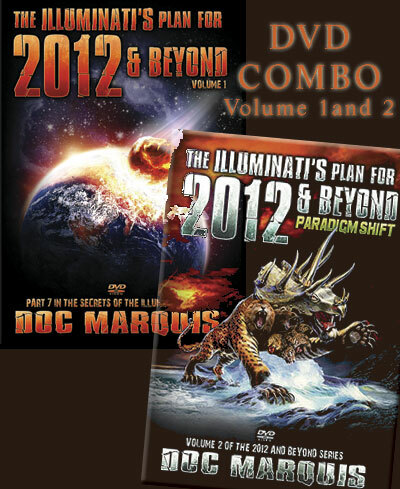 This combination offer contains 4 DVD's and has nearly 7 hours of teaching. A Plan of Salvation is offered at the very end of both DVD sets. DVD-Israel: God's Timepiece -- Will Arab, Israeli Conflict Begin WWIII?